Whale, whale, whale! Water we got here?! 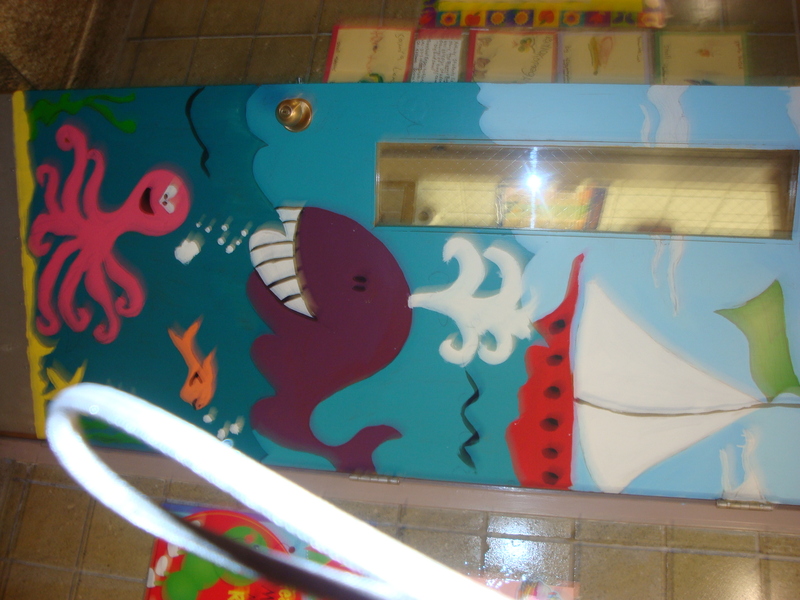 Luckily its nothing fishy, just an under the sea door mural! Over the past few years, through the Jersey Cares Skills Based Volunteer Program, we have not only outsourced skilled volunteers to nonprofits in the community for needs such as specialized teachers for after-school programs, marketing professionals and graphic designers, but we have also been the recipient of some fantastic skilled volunteers from two partners, Barclays and Fidelity. Their employees have assisted with vital needs in both technology and human resources in the Jersey Cares office and serves as a fantastic example of the widespread skill sets present at every company and how invaluable that talent can be for a nonprofit. When the Jersey Cares office was in need of a long awaited technology overhaul, Barclays, a financial services company, lent a group of expert employee volunteers from their IT department. These Barclays employees visited the Jersey Cares office several times to run diagnostics and asses best practices, after which they offered several options for a system update. After presenting three options on a sliding scale to Jersey Cares, the group then installed a new server, set up new computers to replace outdated models, implemented a new back-up system and continue to offer their ongoing IT support on a regular basis. This project was invaluable to the growth of Jersey Cares and provided a fantastic way for the Barclays IT department to give back to the community using their skills. Additionally, when looking for staff development resources, Jersey Cares reached out to Fidelity Investments, also a financial services company, in order to utilize the expertise of their Human Resources department. A Fidelity employee provided her expertise by leading a Management Training seminar for several Jersey Cares employees, who have since implemented the new practices they learned into their everyday work habits. These employees look forward to continuing these training sessions once a quarter. 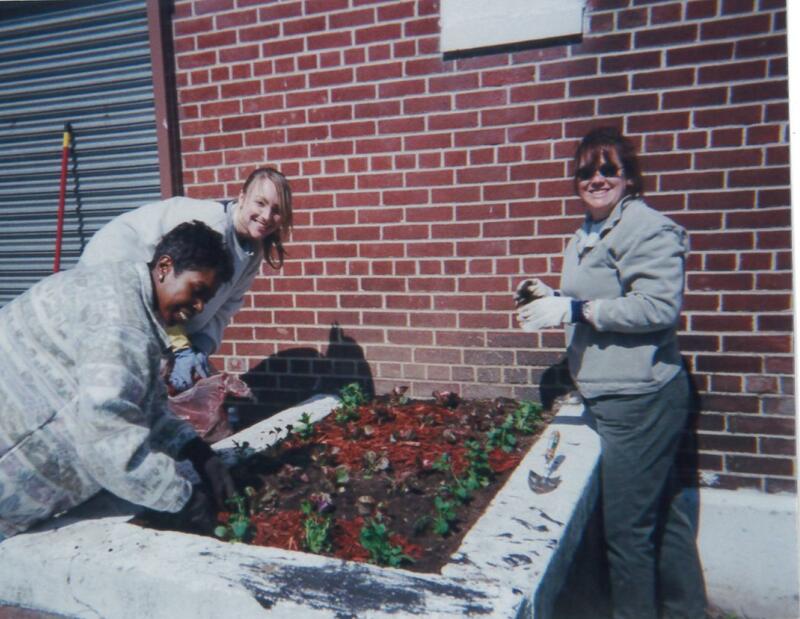 This project was also a valuable experience not only for the employee volunteer to learn about the inner workings of nonprofits but also for the Jersey Cares Staff, who benefit from the professional development. So often when we as nonprofits think of needs, we go straight to dollars. While funding is crucial to remain in business, some of our skills-based volunteer projects have saved thousands of dollars while providing phenomenal experiences for the corporate volunteers as well. If you are interested in learning more about the Jersey Cares Skills Based Volunteer Program or being matched (either as a corporate group or nonprofit agency), please contact Kaitlyn Brady, Kaitlyn@jerseycares.org or 973-424-1091. What in carnation are they planting?! Maybe they are mums…orchid they be azaleas?